Referral marketing strategies can be implemented in a wide variety of ways. From the customer touchpoint where you put your calls to action to the channel used to send referrals, each strategy works to accomplish different goals. 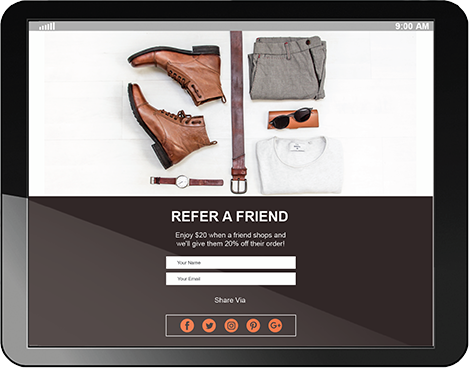 One-to-one referrals via refer a friend gives customers a way to personally recommend your brand or products to the friends and family they think will truly love your brand. Direct referrals personalize the experience and make the referral more authentic and trustworthy, increasing the likelihood of conversion. Engage with customers and get them excited about your brand no matter where in the life cycle they are. With pre-purchase referrals, you can give customers a way to engage with your brand and earn rewards or coupons which will help them convert more quickly into paying customers. Connect with customers when they are most excited about your brand after they have made a purchase. Post-purchase sharing gives your customers an easy way to share what they just bought. And, capitalizing on the timing increases the likelihood that they will share. Easily add referral marketing widgets anywhere on your site to boost engagement with your program. 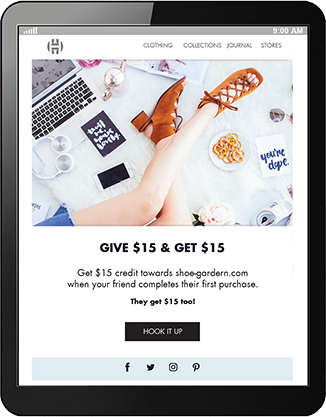 Referral widget design can be fully customized and all widgets are mobile optimized to give customers the best experience possible on your site. Empower your customers to share your brand and products via their favorite social media networks such as Facebook and Twitter. With social media referrals, it’s easier to expand the reach of your referrals and it creates a valuable opportunity to collect social graph data. Email based referral marketing is a great way to rapidly increase your email database. Your customer success team will work with you to help design impactful email creative and copy to drive referral conversion. And, GDPR compliant capability means you don’t have to worry about your international referral strategy. 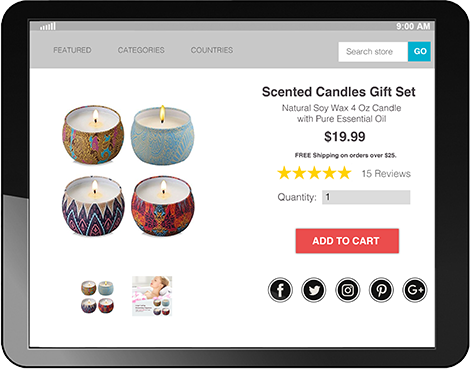 Adding sharing buttons directly to your product pages create an opportunity for customers to share something right in the moment. Maybe they found something they know their friend is looking for or they want to send a hint for an upcoming birthday. Adding a referral marketing touchpoint directly to product pages increases referral rates and sales as a direct result of those referrals. 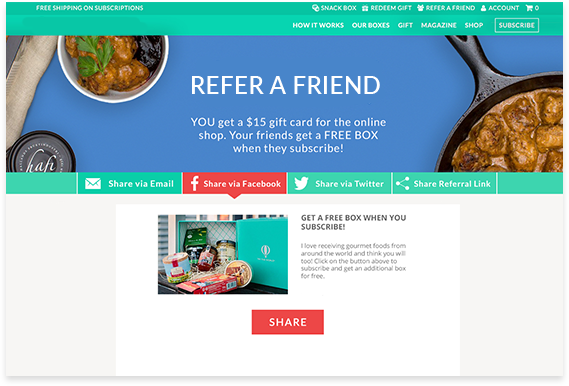 Add a referral call to action at any touchpoint on your site that will spur customers to share. For general referral campaigns you can add a banner to the top of your site. 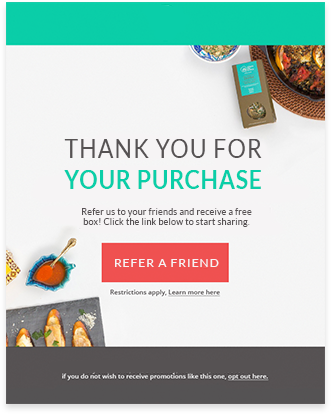 For loyalty program referrals you can incorporate referral CTAs into your customer loyalty profiles. You can even build product specific referral campaigns to drive interest and sales in specific products or categories. "Annex Cloud's customer success team has worked with us closely to deliver success, offering wonderful guidance and support, and we're excited for the next phase of our work together." Get a first hand account of how Vivobarefoot earned a 10:1 ROI with Referral Marketing.